Gift Box Paper Insert $9.00 no insertbridesmaid setbridal party settie the knot set Bridal Party Set includes 1 Maid of Honor and 5 Bridesmaid inserts. 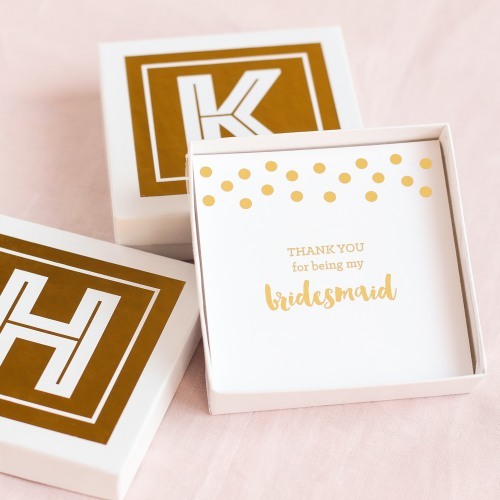 Packaging up thank-you's for your bridal shower is effortlessly chic with these gorgeous monogram gift boxes. Use up to six different vinyl decal monograms for your set of sixe boxes to ensure that each one is truly special. Trust us, your loved ones will love the extra effort you went to for their gift!